Tim Kellam has over 20 years experience of practising and teaching tai chi and chi kung. Designed for health & wellbeing the workshop will be divided into two parts. Starting with a short meditation we will go through a short Tai Chi sequence and learn how to link the two together. 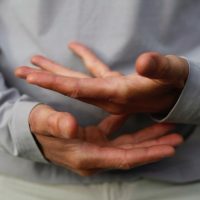 This is an excellent introduction into the principles of tai chi and the potential health benefits – and an excellent way to centre yourself. All exercises will be performed standing and no special clothing required. *This workshop does not contain any martial art training or yoga.